Carl Bache is Professor of English at the University of Southern Denmark. His recent publications include The Study of Aspect, Tense and Action: Towards a Theory of the Semantics of Grammatical Categories (1997) and Essentials of Mastering English (2000). This book is aimed at fellow practitioners and researchers in functional linguistics. It offers a friendly but critical appraisal of a major component of the ‘standard’ version of SFL, i.e. the account given by Halliday and Matthiessen of tense and aspect in English. Supporting his criticisms with evidence from a project in corpus linguistics, Bache suggests that this account fails in several ways to satisfy accepted functionalist criteria, and hence needs revising and extending. 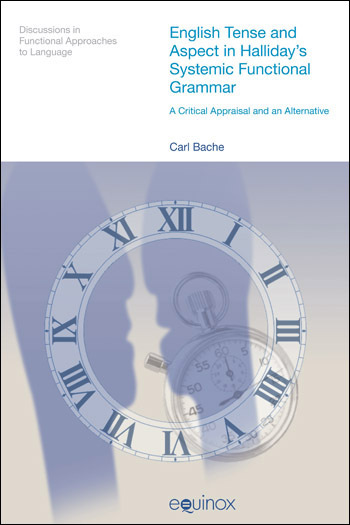 After surveying alternative functionalist approaches to modelling time and tense in English (including Fawcett’s Cardiff school approach and Harder’s instructional-semantic approach), and after presenting a number of principles of category description, Bache goes on to offer an alternative SFL account of this area of grammar. In Bache’s model, the focus is on the speaker’s communicative motivation for choosing particular verb forms. The relevant choice relations are seen to draw on metafunctionally diverse resources, such as tense, action, aspect and other domains. The basically univariate, serial structure of the verbal group is accordingly enriched with certain characteristics associated with multivariate structures, and the idea of recursion is abandoned. Bache finally examines the descriptive potential of his model in connection with projection, conditions, and narration. This book is aimed at fellow practitioners and researchers in functional linguistics. It offers a friendly but critical appraisal of a major component of the ‘standard’ version of SFL, i.e. the account given by Halliday and Matthiessen of tense and aspect in English. Supporting his criticisms with evidence from a project in corpus linguistics, Bache suggests that this account fails in several ways to satisfy accepted functionalist criteria, and hence needs revising and extending. 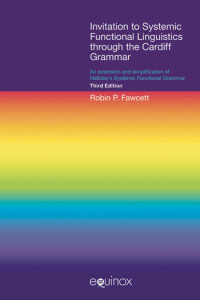 After surveying alternative functionalist approaches to modelling time and tense in English (including Fawcett’s Cardiff school approach and Harder’s instructional-semantic approach), and after presenting a number of principles of category description, Bache goes on to offer an alternative SFL account of this area of grammar. In Bache’s model, the focus is on the speaker’s communicative motivation for choosing particular verb forms. The relevant choice relations are seen to draw on metafunctionally diverse resources, such as tense, action, aspect and other domains. The basically univariate, serial structure of the verbal group is accordingly enriched with certain characteristics associated with multivariate structures, and the idea of recursion is abandoned. Bache finally examines the descriptive potential of his model in connection with projection, conditions, and narration. The introduction describes the aim and approach of the book, as well as the main topic – Halliday’s approach of the tense category in English. 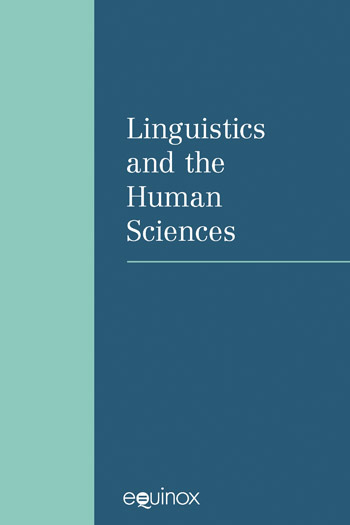 This chapter discusses the primary tense system proposed by Halliday and Matthiessen, as well as the aspect and phase in Systemic Functional Linguistics. This chapter discusses critically the characteristic features of Halliday and Matthiessen’s approach to tense, aspect and phase. The assumed recursive feature of the basic tripartite tense system is offered particular attention, as most of the other assumed characteristics of tense in English are said to be derived from it in the IFG approach. This chapter introduces an alternative approach to tense and aspect in English, different from the IFG model and with point of departure, the systemic functional description of tense, provided in the Cardiff Grammar. This chapter discusses the alternative model introduced in Chapter 4, including its organisation and inventory, the status of BE going to + infinitive, univariate characteristics of verbal expressions and multivariate characteristics of verbal expressions. This chapter discusses ‘narration’ as a special communicative function, or the narrative mode of communication, its characteristics and modes of employment. This chapter summarizes the aims, the arguments and the findings of the book. It restates the advantages of the new SFL model, as well as the differences between the IFG model and the suggested alternative. Carl Bache’s book is not simply another monograph on tense and aspect. It is concerned specifically with the treatment of tense within Halliday’s systemic functional grammar of English, notably in Halliday’s An Introduction to Functional Grammar, henceforth IFG. It offers, amongst other things, a substantial critical appraisal of the IFG account and a proposal for an alternative model, located equally within the theoretical framework of systemic functional grammar, rather than within a more general functionally oriented frame-work.